FRANCKEL & PLEVY, LLP well known for 1-800-HURT-911® are renowned New York personal injury lawyers representing people HURT in accidents. Our strengths are friendly, true personal service; top negotiating skills; and the willingness to spend the money and time to take insurance companies to trial without pushing our clients to settle. FRANCKEL & PLEVY are the only personal injury lawyers who provide true personal service allowing clients to call our personal phone numbers whenever they have a question 7 days/nights/weekends. Attorney Phil Franckel is known to answer the phone, even in the shower. These two 3 sec. voicemail clips are from clients who were shocked when Attorney Phil Franckel didn’t answer the phone. Attorneys Philip L. Franckel, Esq. and Robert T. Plevy, Esq. have worked together since 2002 and formed FRANCKEL & PLEVY, LLP in 2012. Office locations: Long Island, Bronx, New York City & New Jersey. FRANCKEL & PLEVY, LLP represent clients HURT in all types of accidents but have become the largest motorcycle accident lawyers in New York and are the creators of the BE AWARE MOTORCYCLES ARE EVERYWHERE® safety campaign message. For more information, see our New York Motorcycle Accident Lawyers Media Kit (opens new page). The firm’s verdicts and settlements have been listed in the top verdicts and settlements at topverdicts.com and published in New York Jury Verdict Review & Analysis by Jury Verdict Review Publications, Inc. Attorneys Philip L. Franckel, Esq. and Robert T. Plevy, Esq. has been awarded the Multi-Million Dollar Trial Lawyers™ Award. Attorneys Philip L. Franckel, Esq. and Robert T. Plevy, Esq. 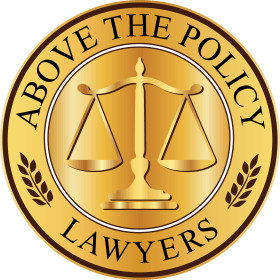 has been awarded the Above the Policy Award for obtaining settlements in excess of the insurance policy limit. Attorney Philip L. Franckel, Esq. has a 10 rating with Avvo and received the Clients Choice award and Top Contributor Award from Avvo.